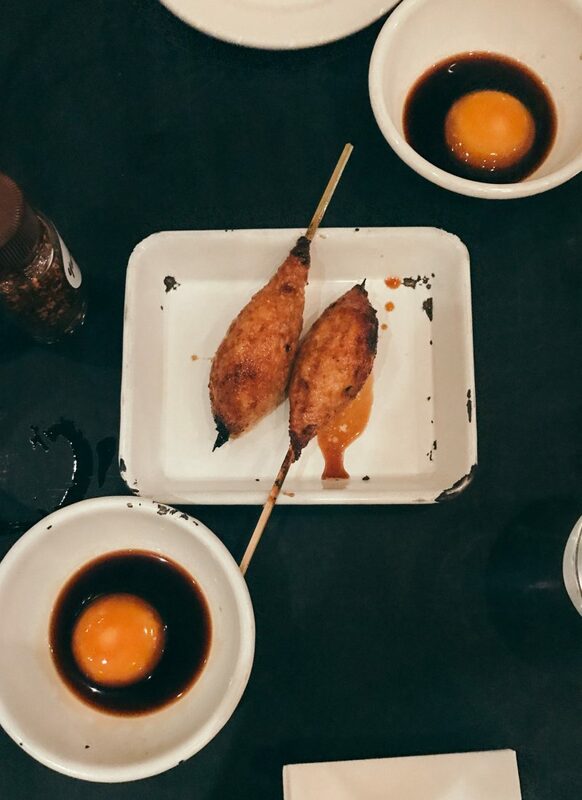 I did a lot of research before heading to Hong Kong and, in the hopes of making the food scene a little more accessible to you, here’s my food guide. 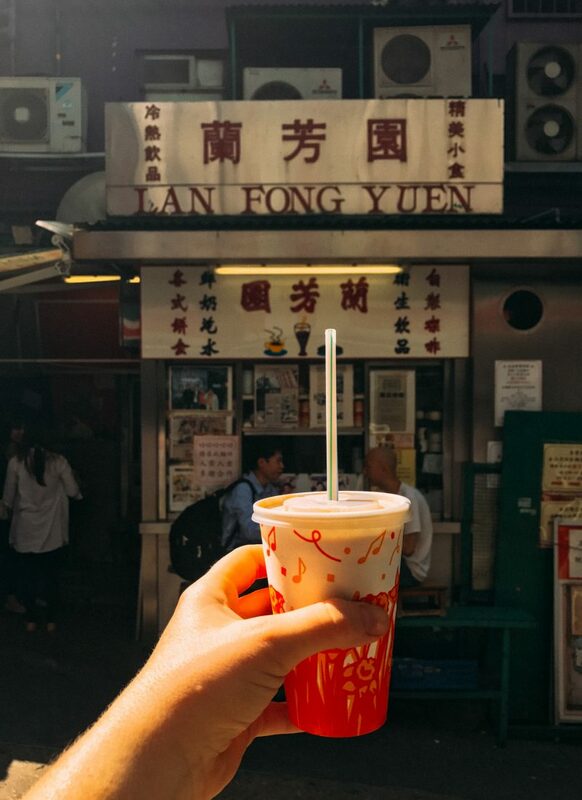 Lan Fong Yuen is a traditional milk tea stand. If you need major caffeine and you don’t want a hot tea or coffee, this is your place. Iced tea sweetened with JUST enough condensed milk. 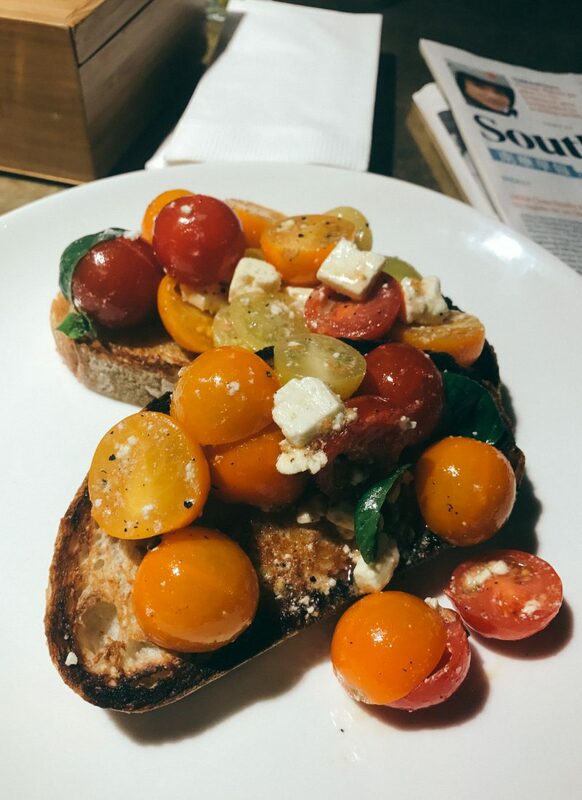 Grassroots Pantry is an excellent vegetarian restaurant in the Central/Soho district of Hong Kong. I recommend a poached egg, harvest bread, and greens with a fresh juice and espresso. This place serves more than breakfast, but if you’re looking for a good place for a brunch-type menu, go here. Mana! 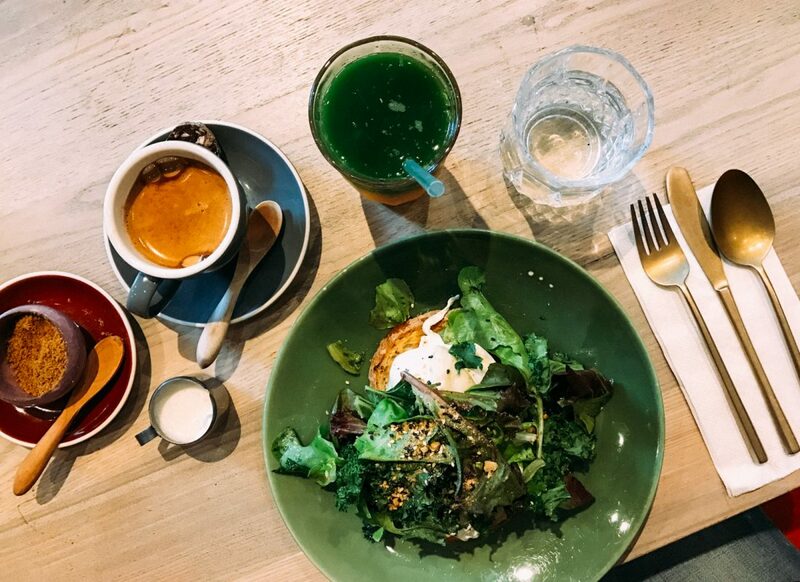 is a perfect healthy spot to grab lunch. 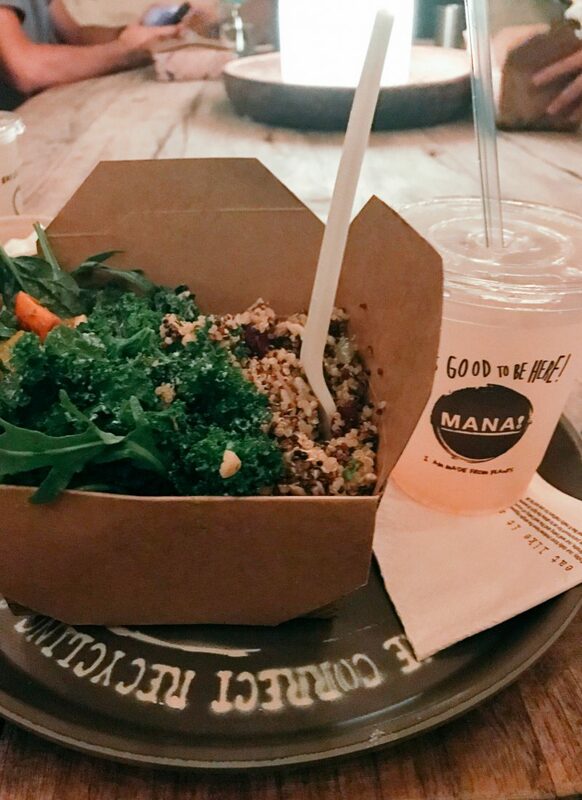 They have a range of salads that you can mix and match, like quinoa, kale and roasted veggies, Pair it with one of their iced teas and you have a perfect lunch on a hot day. 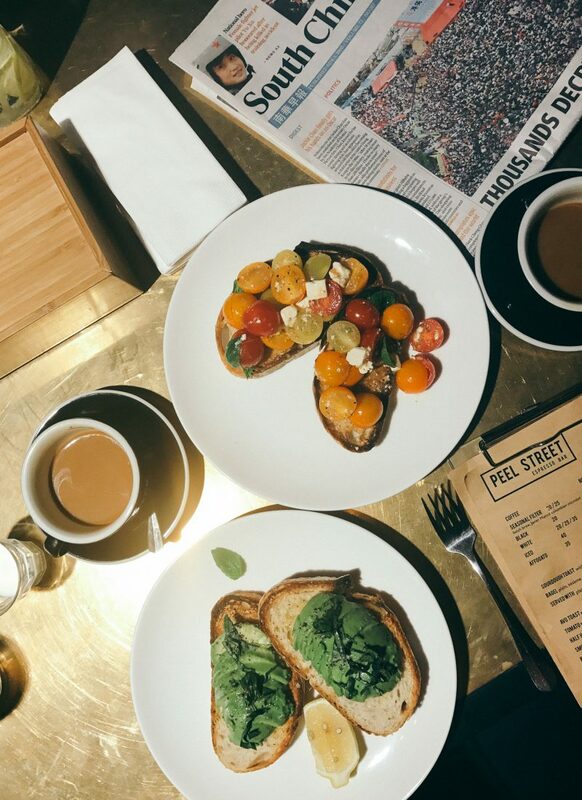 Aberdeen Street Social is housed in the former PMQ (Police Married Quarters) that has been transformed into a place for restaurants, shops, and local designers. 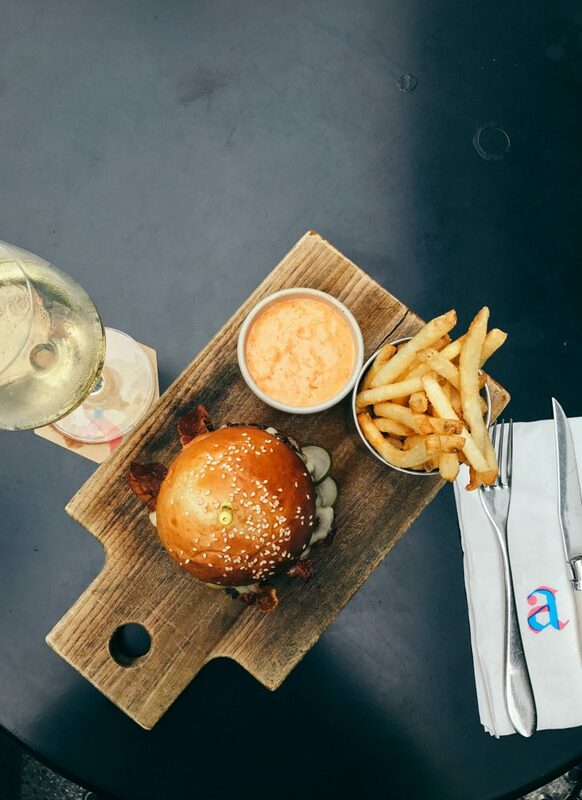 The PMQ is worth the trip alone, but if you’re starved while you’re there, stop at Aberdeen Street Social for a burger and fries. The burger is topped with bacon and cheese and you even have the choice to add FOIE GRAS. However you order it, I PROMISE you’ll enjoy it. 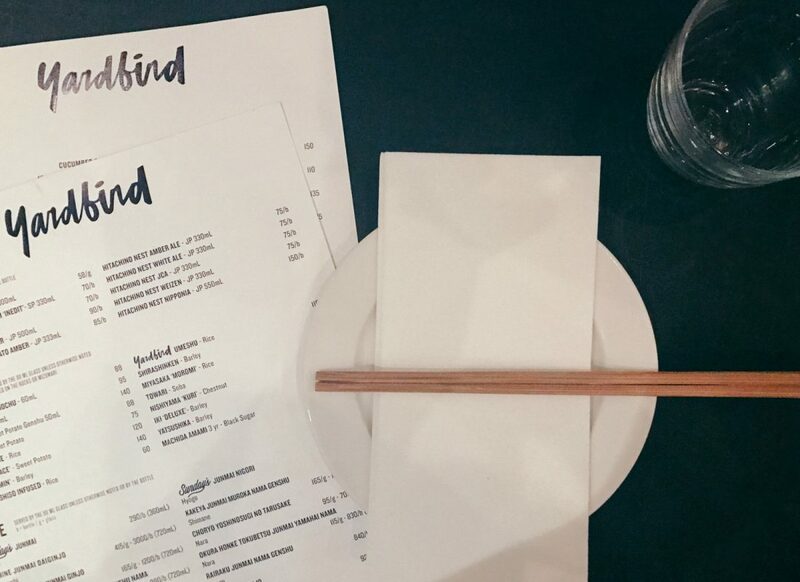 The Social Place is a super trendy spot for dim sum. The food is great and the decor, I dare say, is even better. 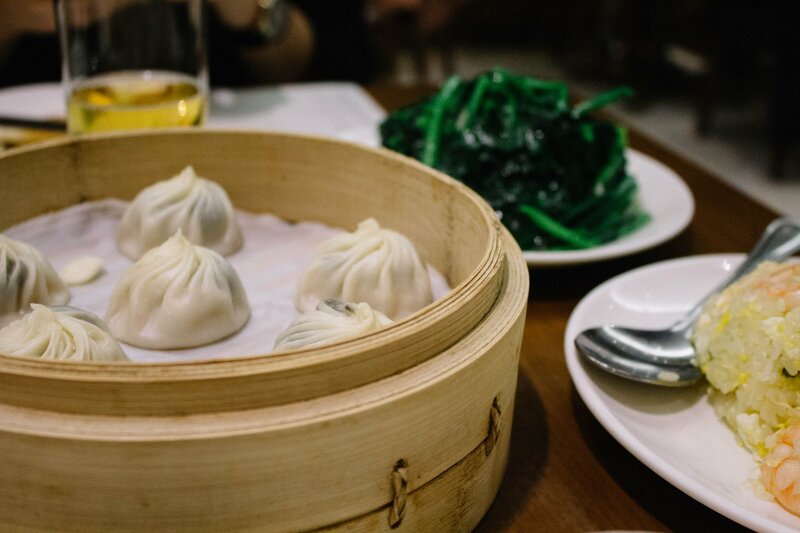 Stop in with a group and try the steamed truffle buns, Szechwan chicken, and pork belly bun. 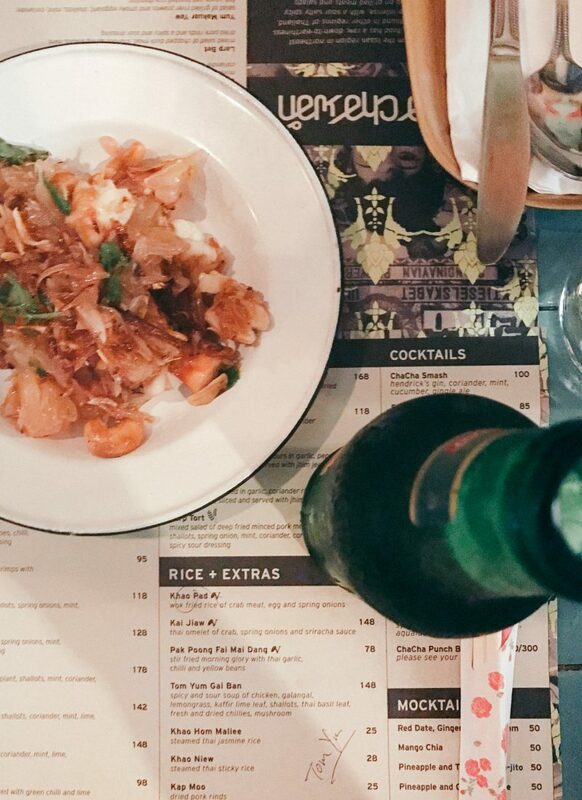 Chachawan is an incredible Vietnamese restaurant. 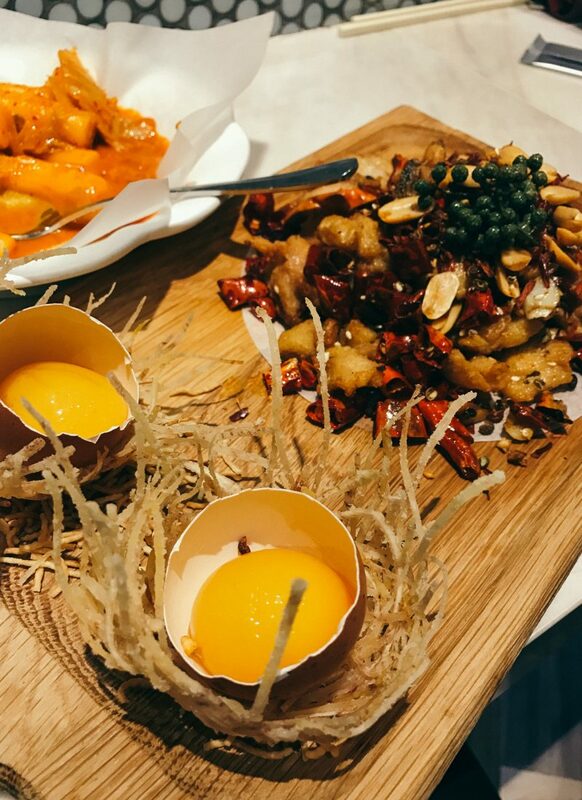 This was my first meal in Hong Kong, and I still dream of it. Order the Nahm Dtok Nuer, Yum Som O, Khao Pad, Tom Yum, and Khao Niaw Mamuang (sticky rice with mango). The spice, the flavors… please go here! 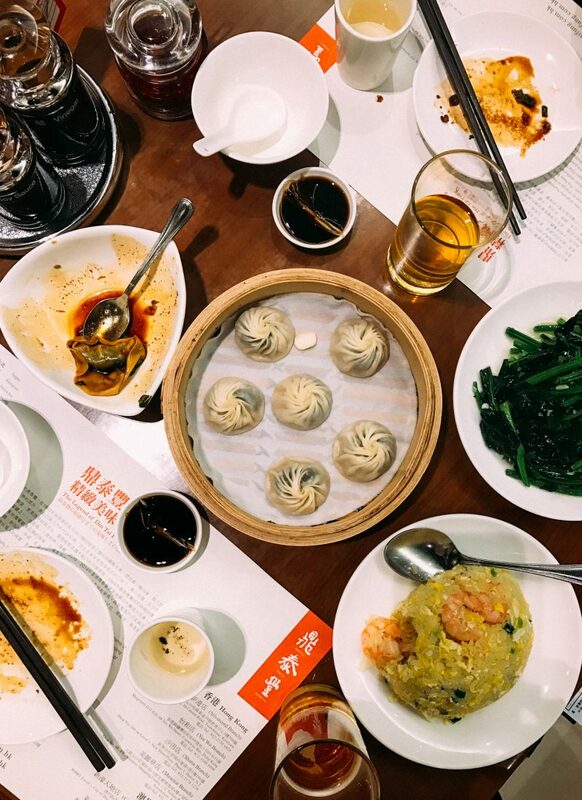 Din Tai Fung may be a dim sum chain but it’s a chain with a Michelin Star. And it’s freaking amazing! Seriously, I wouldn’t lie about it. It’s definitely worth the hype. I say order everything but if you need some guidance, I got your back. 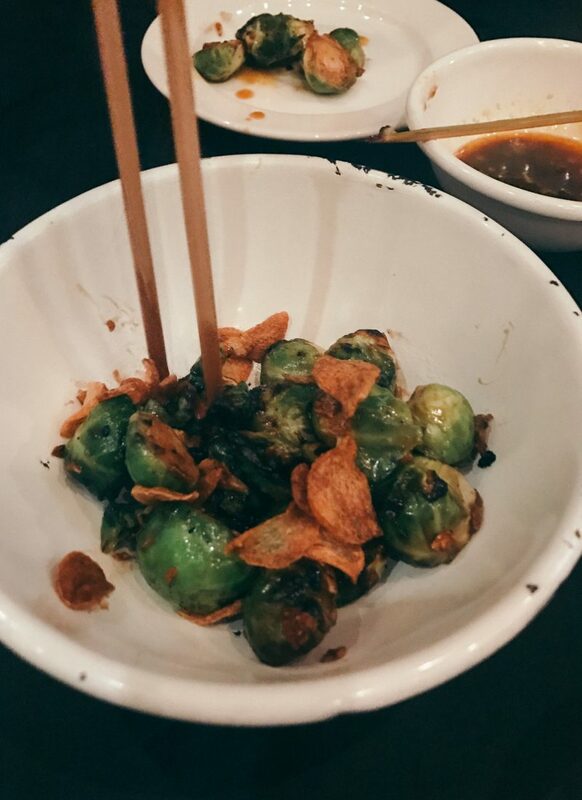 For apps, get the string bean with minced pork and cukes with chili sauce. For main dishes, get the steamed black truffle and pork dumplings, sauteed Angus beef, sauteed spinach with garlic, and shrimp fried rice. I’m drooling now. Hutong is very schmancy Northern Chinese restaurant on the Kowloon side with a fantastic view of Hong Kong. (See above. I was too busy eating the food so I didn’t get a picture. Bad blogger!) If you go, get the fennel seed and minced pork dumplings and Kung Po chili prawns. Bibo is SO cool! It’s SUCH a scene but a perfect spot to grab a drink or two. 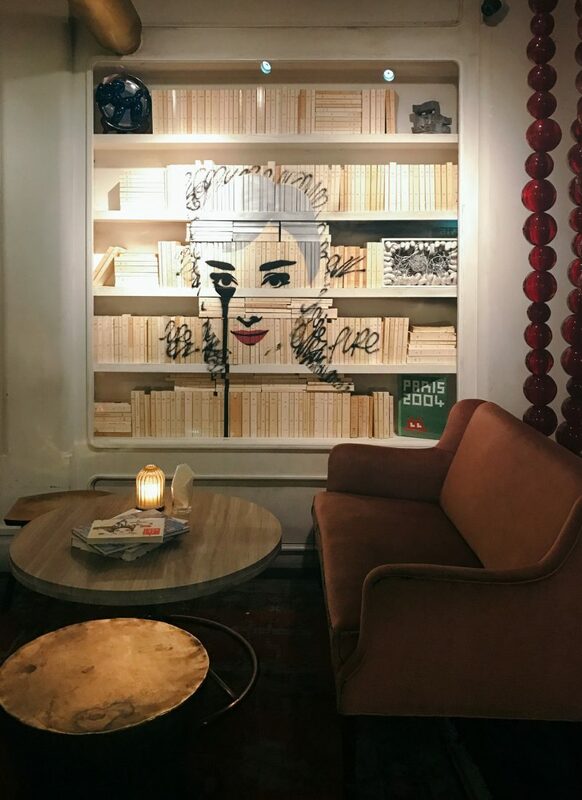 The walls are covered in graffiti and the drinks are served in lightbulbs, so it’s perfect for an Instagram or two. OH – and there’s a secret entrance. If you want the inside scoop on how to get in, leave a comment and I’ll get back to you. Chôm Chôm is a great spot to grab a drink and sit outside on the stoop. They make a mean cocktail and have a super casual vibe. 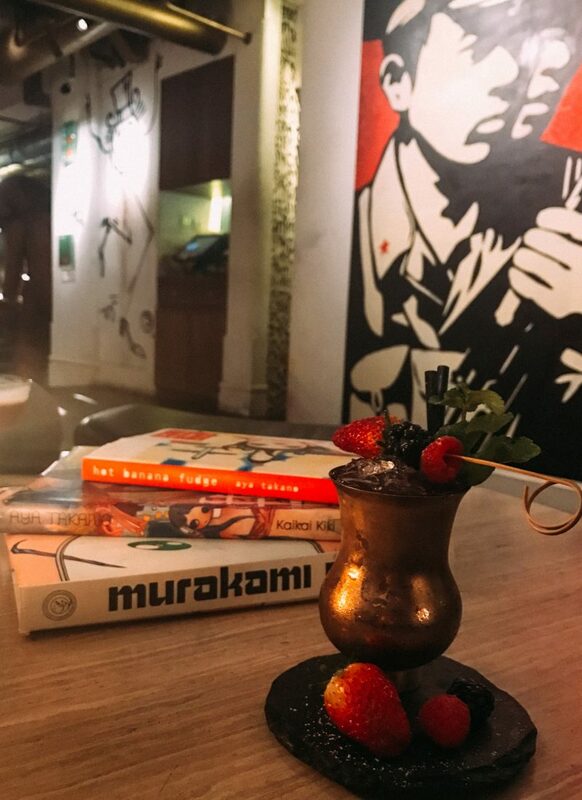 They also serve food, and it’s a great place for a night out. Sadly, no pic. Just trust. 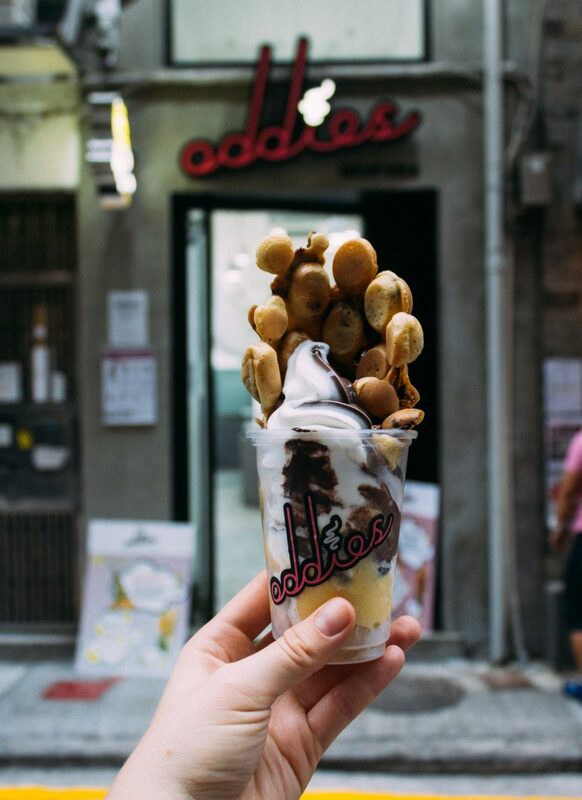 Go to Oddies, get egg waffle, be happy.